Alisa is an experienced and highly qualified Clinical Psychologist and Psychodynamic Psychotherapist with a particular interest in the treatment of anxiety disorders, depression, personality disorders and trauma. She has specialist and academic training in trauma treatment and many years of experience as a psychologist. Alisa has worked in both hospital and private clinical settings and has an excellent understanding of mental health issues. Alisa is committed to the provision of effective, evidence-based psychological treatments. As a Clinical Psychologist, Alisa is able to offer assessment and treatment in the brief modalities Cognitive Behavioural Therapy and Interpersonal Therapy. Alisa is also a fully trained Psychodynamic Psychotherapist which is aimed at resolving long-standing or complex issues. Alisa's academic and clinical training has qualified her to deal with difficult issues and personality problems and to work collaboratively with treating physicians and other health care professionals. Alisa is also experienced in the provision of therapy online. This allows access of patients who make have difficulty in accessing psychological services such as rural and remote communities, mothers with young children or patients with disabilities. It may also suit individuals who travel a lot or are unable to attend the clinic for other reasons. 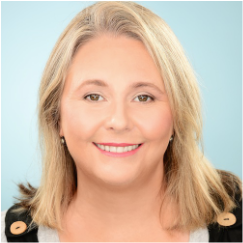 Alisa is a member of the Australian Psychological Society (APS), the International Association for Relational Psychoanalysis and Psychotherapy (IARPP) and registered with the Psychology Board of Australia. Alisa consults at her rooms in Woollahra Monday to Thursday. Alisa is a Medicare Provider and her patients are also eligible for private health fund rebates. Alisa's fees are below the APS recommended rate and are negotiable in specific circumstances. For more information or to discuss making an appointment, please feel free to phone Alisa.